Brazee Law Firm is proud to have you as a visitor to our new website. Our law firm history and profile will give you the full details on Brazee Law Firm’s practice and our individual lawyer profiles will demonstrate the depth of the talent of our firm. We encourage you to browse at your leisure and contact us if we can be of assistance to you. Brazee Law Firm was founded in 1986 to provide high quality legal services to clients throughout Louisiana, United States and Internationally. 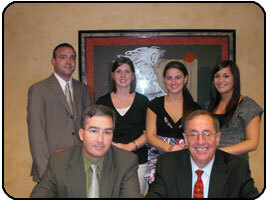 Our attorneys and staff are committed to making a positive difference for our clients. James L. Brazee, Jr., an experienced trial attorney, is also certified as a Civil Mediator. He has mediated numerous national and international disputes. Click on the image below to visit the mediation website.